Scenic drives in Rhode Island along the coast are delightful any season of the year as they make the perfect seaside excursion. This is a one-way 61-mile scenic drive on Route 1A along Block Island Sound. The tour then turns north to follow the western shore of Narragansett Bay. The drive eventually hooks up with Route 138 east over to historic Newport and the scenic 10-mile Ocean Drive. Along the way are plenty of detours for lighthouses, wildlife refuge trails, beach walking, and quiet village rambles. Attractions in Watch Hill include The Flying Horse Carousel, the oldest continuously operating merry-go-round carousel in the U.S., and the Watch Hill Lighthouse, a granite and brick-lined 19th Century masterpiece. The Lighthouse has no parking so you’ll park in town and stroll out the 15-minutes it takes to get there – it’s a pleasant ramble anyways. 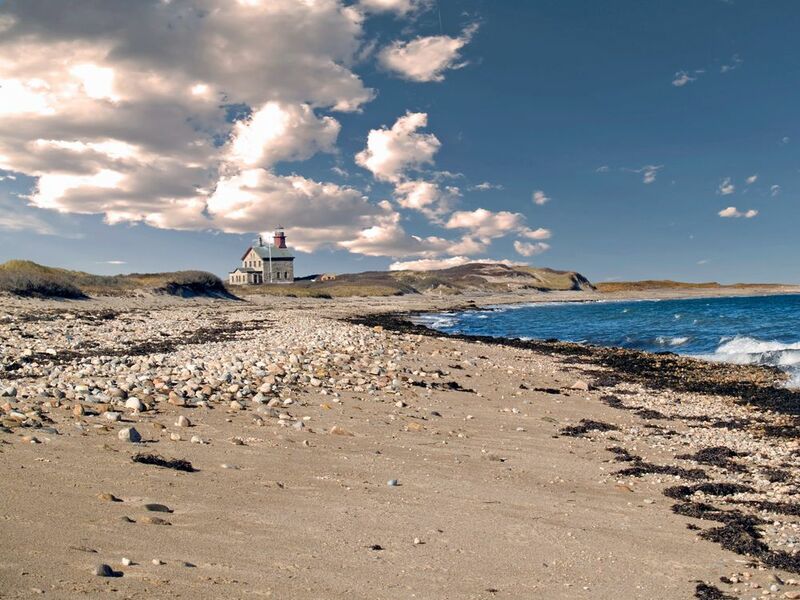 Continue your seaside scenic drives in Rhode Island by retracing the road back to US 1A, and then heading east. Route 1A merges with Route 1 as you drive towards Charlestown and the Point Judith Area. This part of the drive has numerous beaches, and turnoffs for salt ponds and wildlife refuges protected by the natural beach barriers on Block Island Sound. Follow Route 1 until it intersects with Route 108 south and head down to Point Judith and the Junction of Route 1A. 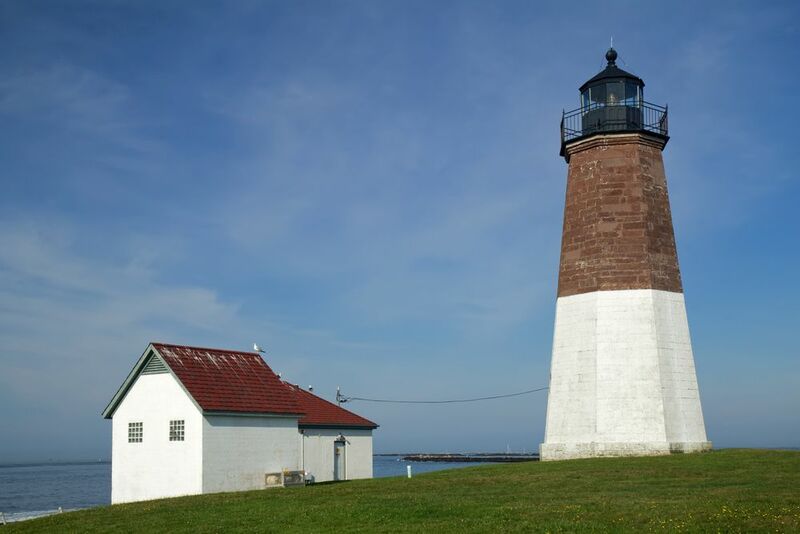 Drive the short distance to Point Judith Lighthouse, which was built in 1857. Here you’ll also get another great view of Block Island and its cliffs on the horizon. Continue this scenic drive in Rhode Island north until it meets Route 138 and then head east on Route 138 over Jamestown Bridge to Conanicut Island, and then over the magnificent Newport Bridge into the city of Newport. 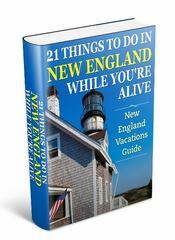 Newport is on the southern tip of Aquidneck Island, and the final leg of our scenic drives in Rhode Island coastal tour. 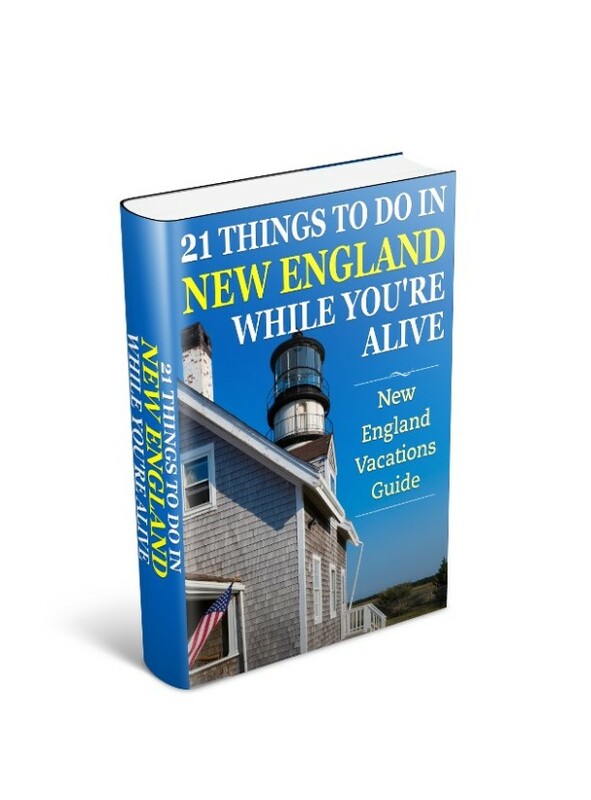 It’s one of my favorite cities in New England – anytime of the year – but especially during the warmer months and autumn, when you can hike the Cliff Walk or picnic and B-B-Q in a state park. After the Newport Bridge follow the signs to the Transportation Center. Stay on the main road as it winds through the harbor area, and eventually becomes Memorial Boulevard until it meets Bellevue Avenue at the intersection. Take the right onto Bellevue Avenue where many of the historic mansions are located. The Ocean Avenue part of the drive is probably the most scenic with magnificent views of houses on rocky necks amidst the backdrop of a full-force Atlantic Ocean. Brenton State Park is a halfway point on Ocean Drive, and is popular for picnics and flying kites – especially with my family. The Fort Adams State Park is on Harrison Avenue, and you’ll turn left at the next intersection, and left again onto Halidon Avenue. Continue right onto Wellington Avenue and you’ll pass by King Park on your left, which is at the southern end of Newport Harbor, and leads you back into the city center where the tour ends. The harbor area in downtown Newport is full of shops, and alleys, and plenty of places to relax and have your favorite meal and beverage. A fitting end to your scenic drives in Rhode Island day of discovery.